Claude Monet was the founder of the French Impressionism school of painters, especially as it pertained to nature. 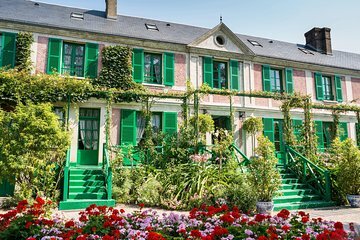 So there’s no better way to understand this movement than to visit Monet’s Gardens at Giverny. The noted artist made the village his home after a train ride through the area. He began growing thousands of plants in various styles, and soon began painting them. Soon other artists were attracted to the village. Just 76 km (47 miles) from Paris, the extensive gardens are open to the public from April 1 to November 1. 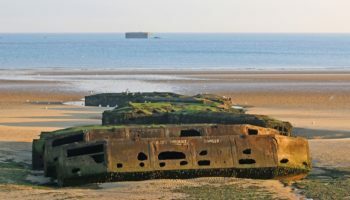 One of the most popular day trips from Paris is to Normandy to visit the D Day battlefields. June 6, 1944, is famous because that was the day hundreds of thousands of Allied troops landed on the coast of France and was a turning point in World War II. Utah, Omaha, Juno, Sword and Gold beaches are Normandy beaches were soldiers waded ashore while being shot at by the enemy. Besides walking on these hallowed stands, travelers can also visit the cemeteries where row upon row of crosses mark the final resting place of those who died that day. The Palace of Fontainebleau offers visitors a change to delve deeper into the history of France. Located just over 40 km (30 miles) from Paris on a former royal forest, the palace tempts visitors with 1,500 rooms filled with everything French. Dating back to the 12th century, Fontainebleu grew in opulence as monarchs built additions over the centuries until the French Revolution, when its holdings were sold to finance the revolution. Napoleon started the restorative process when he became emperor. 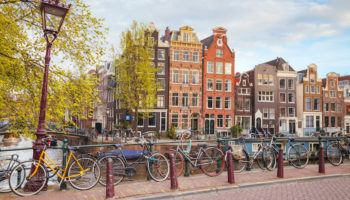 Besides enjoying the wealth of riches in the museums, visitors can take horse-drawn carriage rides around the grounds or hop on a hot-air balloon to see it richness from above. 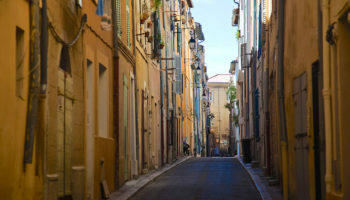 Reims is a city that caters to travelers of all persuasions; gourmets, those who like to sip espressos at a sidewalk café or sample some of the champagnes the area is famous for. Located just 45 minutes by train from Paris, Reims is in the heart of champagne country, with 319 vineyards bottling more than 321 million bottles annually. But the bubbly and food are just teasers for Reims’ main site is its very impressive Gothic cathedral. 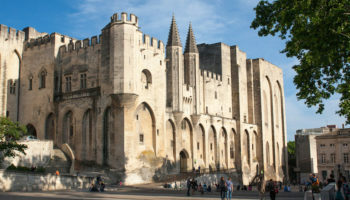 The cathedral, considered the French equivalent of England’s Westminster Abbey, is where many kinds and queens of France have been crowned. In more recent times, some of the stained glass windows were designed by Marc Chagall. 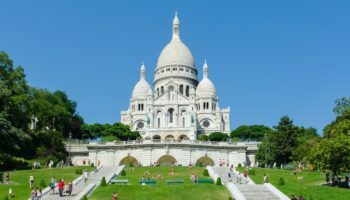 About a two hours drive south of Paris, or one hour by train, the Loire Valley is a region regarded for its spectacular scenery, picturesque vineyards and historic villages. 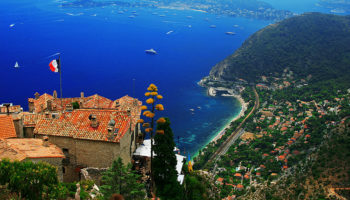 The valley’s biggest attraction is its large number of chateaux scattered throughout the rolling green hills. Ranging from grand country manors to defense fortresses and luxurious palaces, these chateaux were built by French nobility. 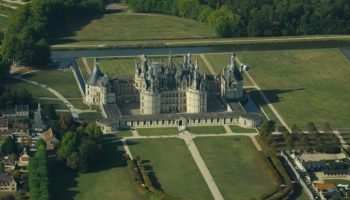 Some of the most famous chateaux include Chambord, Amboise, Rivau, Chinon and Chenonceau. Travelers who collect Disney parks won’t want to miss out on a day trip to Disneyland Paris, the second Disney theme park to open outside of the United States. Initially known as Euro Disneyland, Disneyland Paris brings to life the same themed areas and lovable characters, including restaurants and hotels, that visitors will find in other Disney properties. Disneyland Paris attracts about 12 million people a year, making it one of Europe’s most visited tourist attraction. The park is easily reachable, being just 30 km (20 miles) from Paris in Marne-la-Vallée. Chartres Cathedral, with its intricately decorated spires reaching into the sky, is considered one of the most inspiring cathedrals in the world. The original cathedral was built in the 9th century, but burned down 200 years later. The cathedral today represents architectural styles, such as flying buttresses, that were innovative for its time. The cathedral houses a tunic reportedly worn by the Virgin Mary, with pilgrims coming from all over the world to pay homage. Besides the awe-inspiring architecture that is basically true to the original, visitors won’t want to miss the beautifully designed stained glass windows. 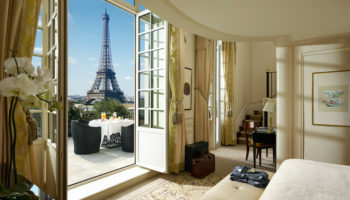 A train ride to Charters from Paris averages just over an hour. Rising up from the midst of vast mud flats is the rocky island of Mont Saint-Michel, located off France’s northwestern coast in Normandy. 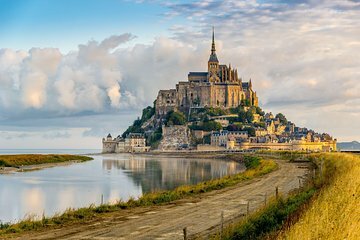 The tidal island is significant for its construction of medieval structures built as if stacked upon one another and crowned with the star attraction, the Abbey of Mont Saint-Michel. The island is connected to the mainland by a causeway. During low tide, a muddy sandbar appears to provide access by foot, but tourists are strongly advised not walk across it because of the dangers presented by the powerful tides. There are no direct train services between Paris and Mont St Michel, but it is possible to travel to Pontorson by train and then complete the last leg of the journey by bus. 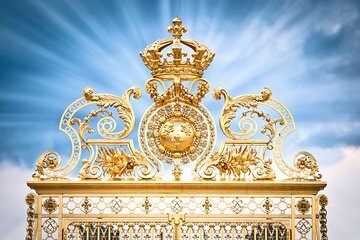 The Palace of Versailles is everything people believe a palace should be: opulence, opulence and more opulence. The palace began life was a hunting lodge in the early 17th century, but quickly grew into a prestigious home for French royalty. Queen Marie Antoinette is probably most closely associated with the palace but her indulgences were to cost the queen her life during the French Revolution. 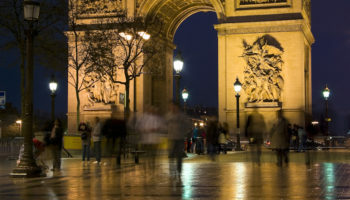 Fascinating statuary, art by Leonardo da Vinci, the Hall of Mirrors, carefully landscaped grounds and broad walkways combine for a great day trip from Paris. Palace of Versailles is my favourite, the lawns are simply stunning. no wonder Queen Marie Antoinette was so indulgent.